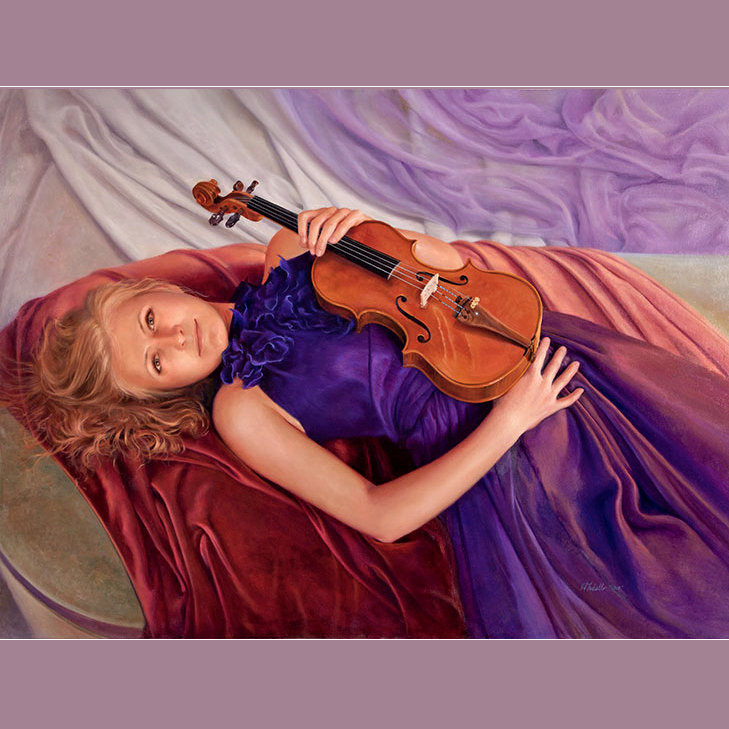 Edward Tadiello – Contemporary Realist Painter. 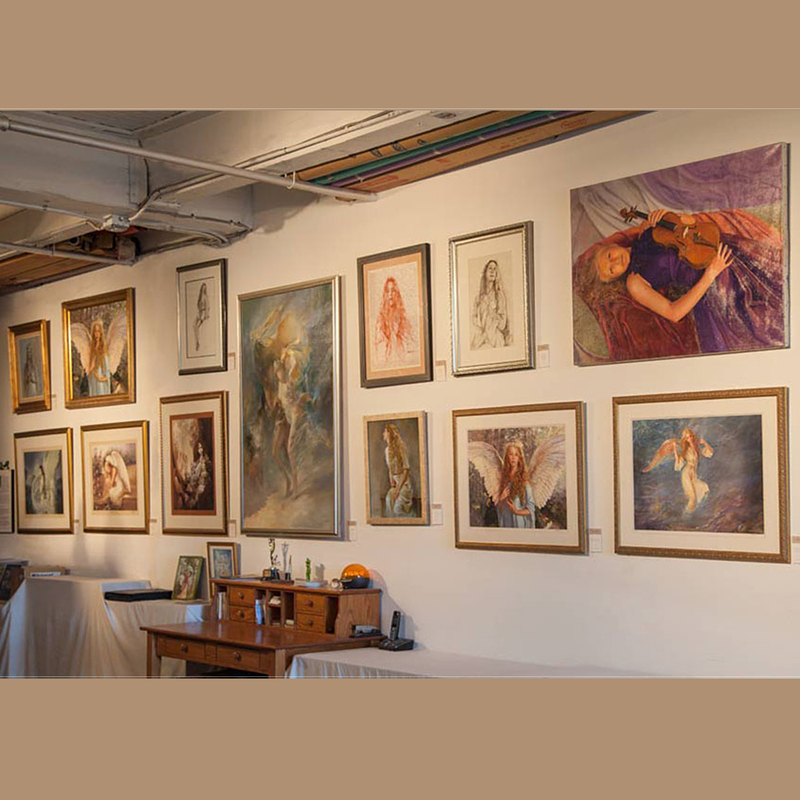 My primary intent is to create works that express Beauty and Spirit through Harmonies of light, color and composition. and spiritual quality. Current subjects are Women playing Musical instruments, Angels, Pin-ups, Dancers. 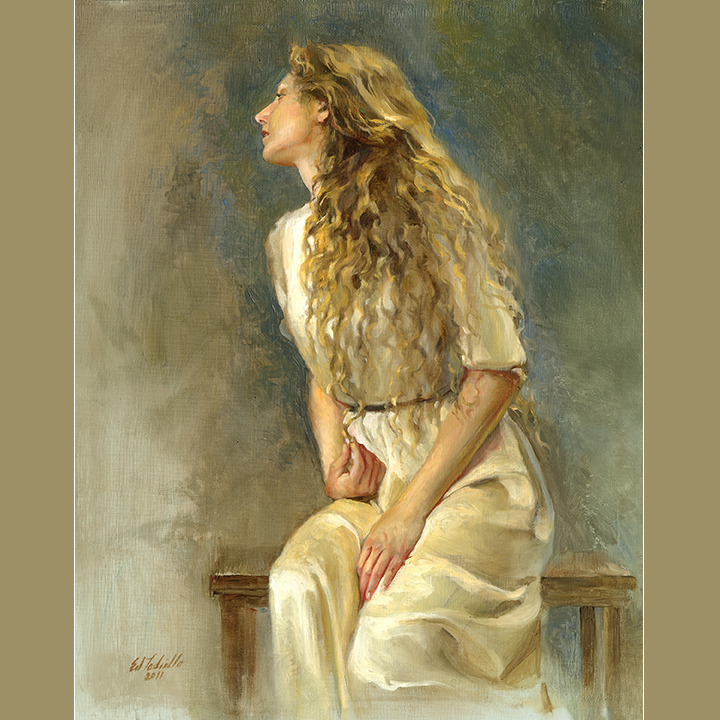 I began my over thirty years of experience in painting as an Illustrator, painting over 300 Romance Novel, Westerns and Young adult book covers. of My Angel and Pin-up Paintings. From 1978 to 1988 I was an Art Director In retail, developing Display Designs for holiday themes in over 1500 stores. Assistant Art Directing, Camera Scenic and Scenic Artist. As an Assistant Art Director I have worked on the TV show BOARD TO DEATH, a CHANNEL COMMERCIAL and a CHASE COMMERCIAL. THEY CAME TOGETHER and for TV; THE GOOD WIFE, 30 ROCK, and my latest gig UNBREAKABLE KIMMY SCHMIDT. RACHEL GETTING MARRIED, INDIANA JONES AND THE CRYSTAL SKULL, THE GOOD WIFE, UGLY BETTY, 30 ROCK, ETC. 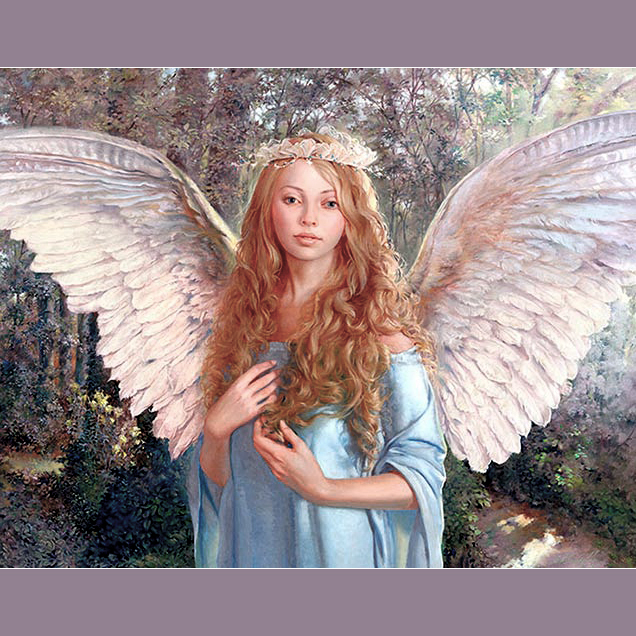 My Angels Paintings have been licensed to many manufacturers and appear on products such as collectable plates, bank checks, t-shirts, etc. Currently available in my Studio are Original Oil Paintings, Water Colors, Graphite drawings and Giclee Prints.